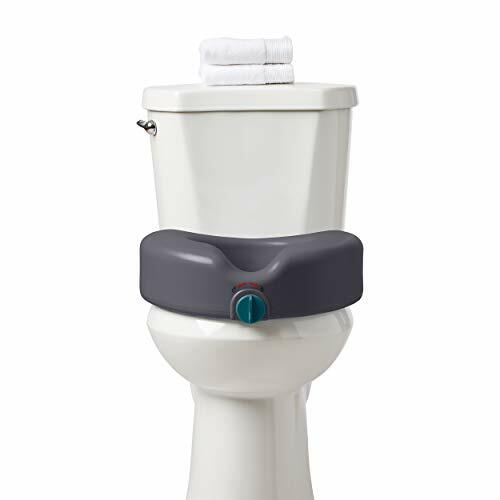 Medline elevated toilet seat riser with wide, contoured surface raises seat level by 5 inches | Raised toilet seat fits round or elongated seats 11" to 14"
Elevated toilet seat supports up to 350 lbs. and weighs just 5.85 lbs. | Toilet seat width is 16 1/8", depth is 17 5/16"